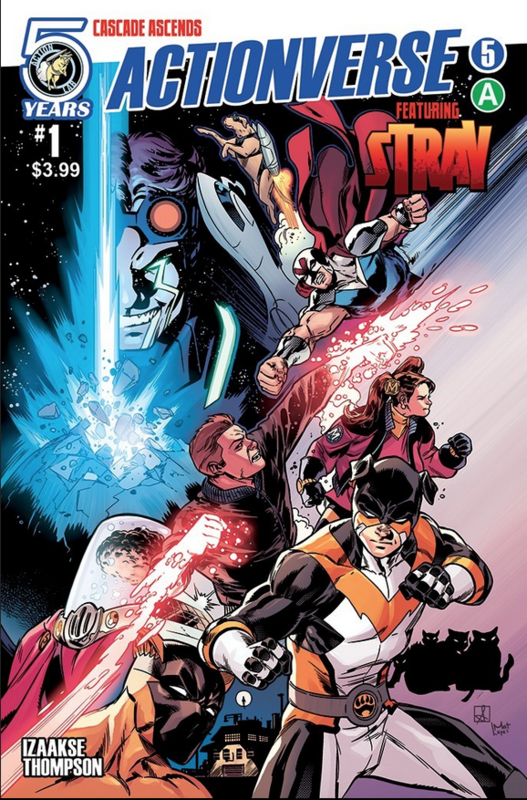 Stray takes over in the penultimate issue of Action Lab’s first-ever crossover event. Out 5/11. Actionverse — which links up such diverse titles as Molly Danger, Stray and Fracture — has a home here at 13th Dimension. Every Monday, you’ll get a preview of that Wednesday’s issue. On Thursday, you’ll get Actionverse Aftermath, in which Vito Delsante — regular writer of Stray — does a post-mortem with one of that week’s creators, with an eye toward what’s to come next. For Actionverse Aftermath #1, with writer Anthony Ruttgaizer, click here. For Actionverse Aftermath #2, with writer/artist Jamal Igle, click here. 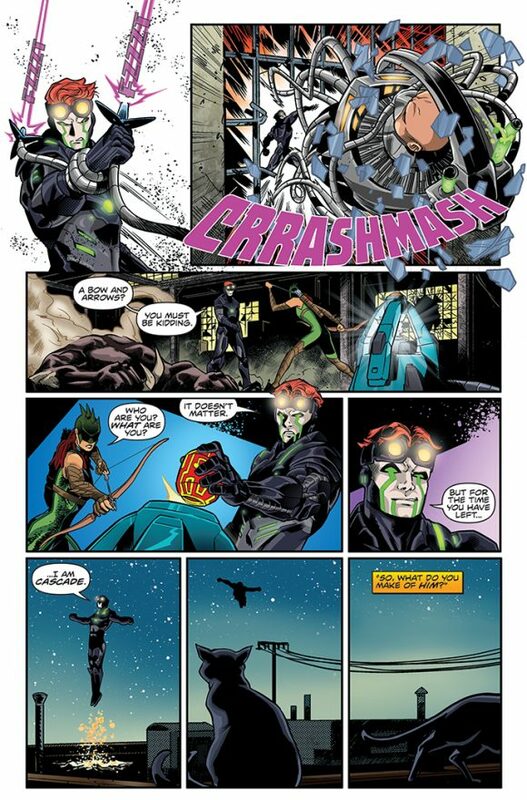 For Actionverse Aftermath #3, with writer Shawn Gabborin and artist Chad Cicconi, click here. 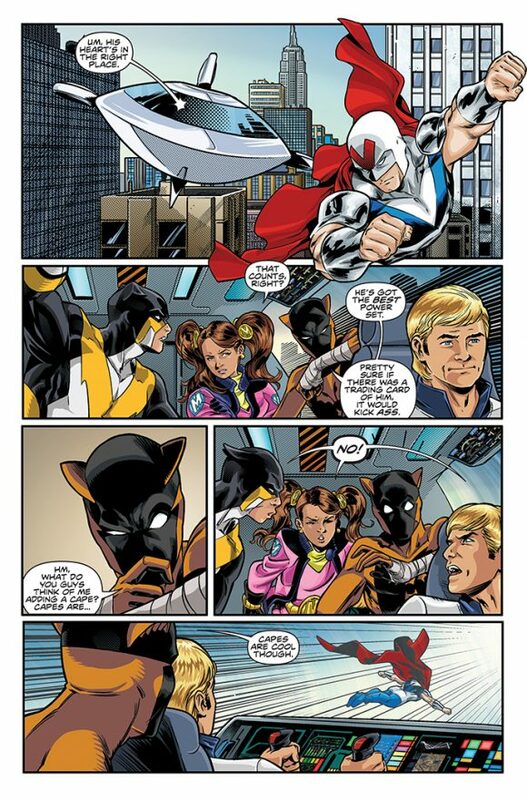 For Actionverse Aftermath #4, with artist Ray-Anthony Height, click here. Colors were by WILSON RAMOS, JR. not Monte Thompson. This is an old cover file.